If you think that Scouting adventures can only be found in the wilderness, then you’ve never met the Toronto-based 1st Lakeshore Group. 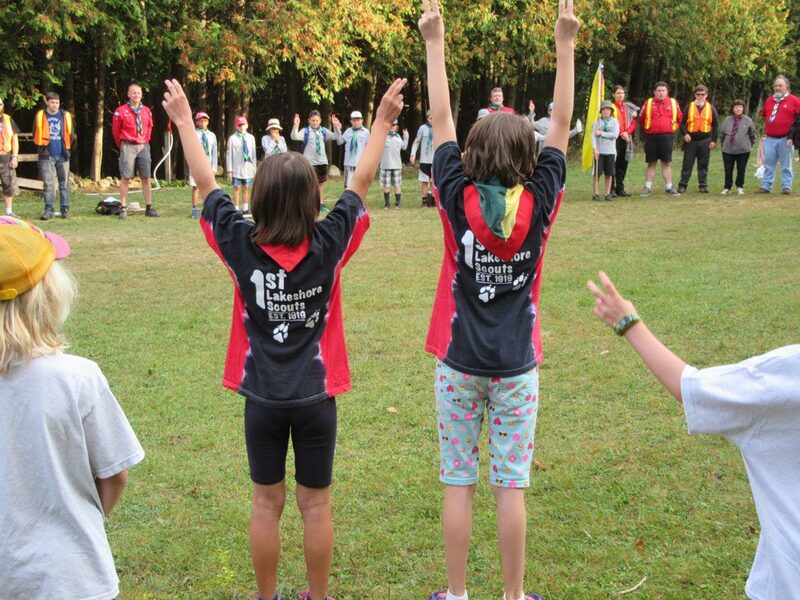 Bringing practical outdoor and life skills to the city, 1st Lakeshore has steadily expanded its volunteer and youth membership, kicking off the Scouting year by welcoming a new Colony of 18 Beavers and an overall growth of 37%. 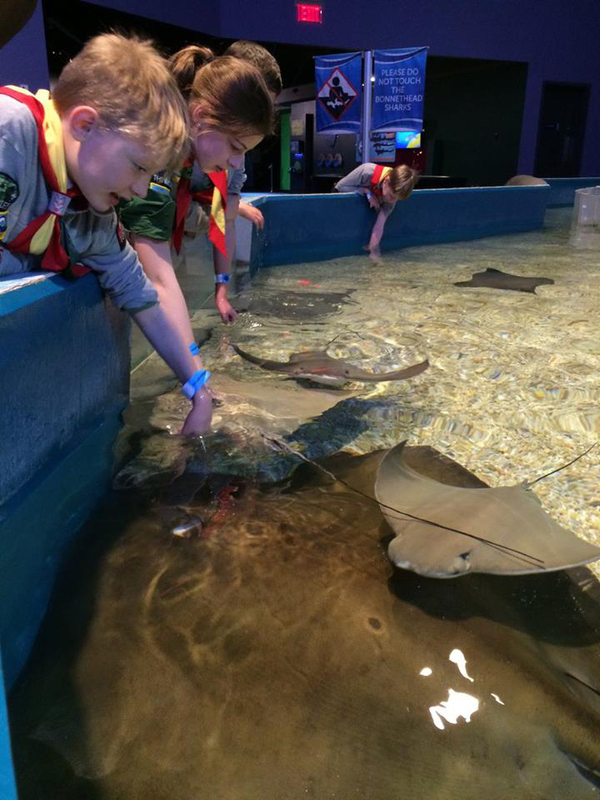 1st Lakeshore youth enjoy a variety of Scouting adventures within Canada’s largest metropolis, including Colony and Pack sleepovers at the local museum and aquarium, marching in urban parades, putting orienteering skills into practice by navigating the city without smartphones, and embarking on overnight camps. Last year, the youth adventured to the downtown core for an overnight extravaganza at Ripley’s Aquarium. Equipped with packs and maps to plan their transit route, the youth rode various forms of transportation and hiked the city streets in Group t-shirts to ensure safety and visibility along the crowded journey. Upon reaching their final destination, they slept with a view of oceanic life beneath the aquariums. In addition to such urban adventures, 1st Lakeshore youth also enjoy camps in nature, such as the Pack’s World Scout Environment Camp at Blue Springs Scout Reserve, or the Troop’s participation in the Alders Challenge—a 25km lightweight moving camp that provides various skill challenges along the two-day excursion. So how does a Group welcome so many youth and Scouter members to its community within a three year period? According to Knapp and Slipiec, it mostly boils down to word of mouth. While the Group has been active for the last 99 years—they will be celebrating 1st Lakeshore’s 100th birthday with a gala in 2019—their growth since 2014 has been steadily impressive. Quickly building rapport with the community, Knapp maintains an open and approachable manner with the Group, effectively communicating that more Scouters equals more opportunities for new youth to join. “She is upfront about capacity and the youth-to-Scouter ratio—what those needs are and the reasons they are required for youth safety,” Slipiec elaborates. In terms of retaining youth membership and maintaining the Group’s community, Slipiec compares Scouting to a pyramid. By establishing a strong base at the Beaver level, the youth will age to strengthen the Pack, Troop, and then later form Venturer and Rover Sections. 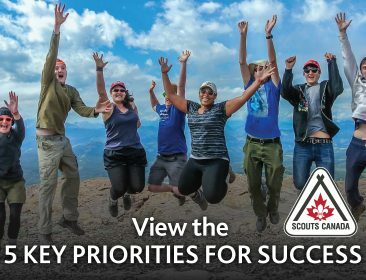 With Groups like 1st Lakeshore, it’s clear that city Scouting is just another way to enjoy easy access to great adventures. With an ever-expanding community, 1st Lakeshore continues to offer Toronto youth a chance to experience urban living like a Scout.